Fashion Week's around the world allow more than just trends to walk down the runways, they create movements. Touching the hearts of more than just influencers, designers, and fashion lovers, the hair walking down the catwalk is just as important. One of menswear’s long established labels, and the ‘Godfather’ of Saville Row, Hardy Amies showcased what could only be called the ‘Reinvention of Modern Silhouettes that utilised block colours with clean lines.’ Backstage the hair was an extension of this influence – International Artistic Director Daniele De Angelis and session team created a quintessential evening look of classic clean-cut styles, slicked back and finished with a high shine. 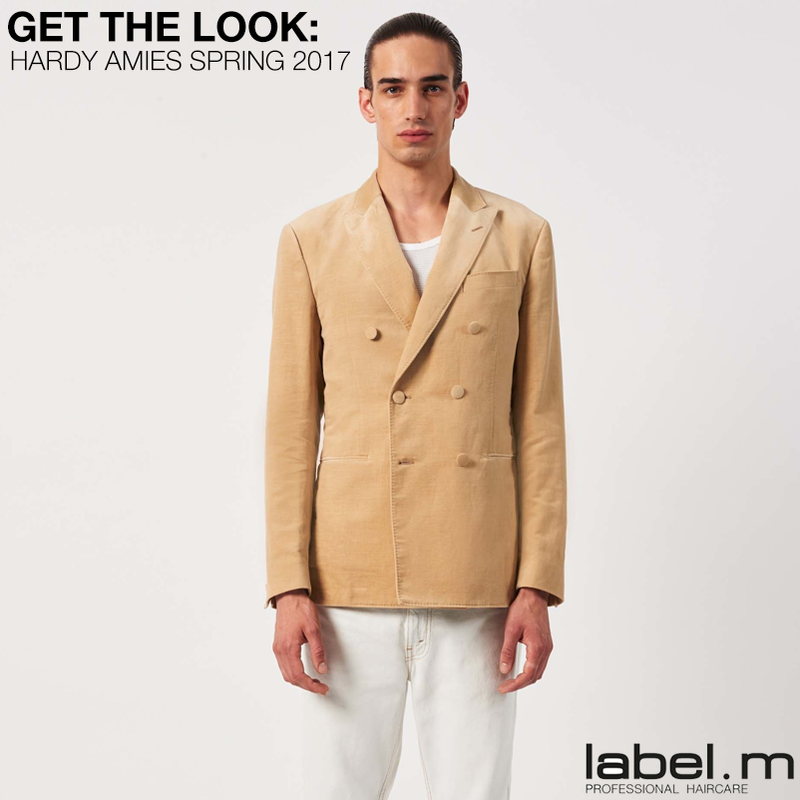 Take a peek at the latest trend from label.men and follow along below to get the look. 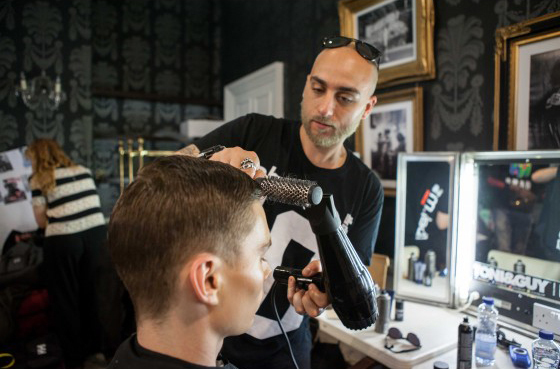 To give this slick back look hold and a high shine, the label.men Sculpting Pomade was the key tool. A classic pomade for controlled, elevated styles with adjustable hold and shine level. If you’re looking to achieve high hold and low shine, apply pomade to dry hair. 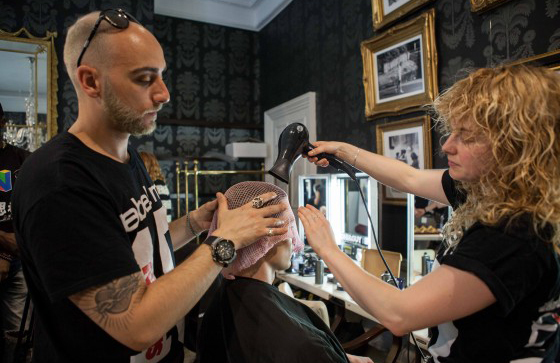 However, if you’re looking for less hold with higher shine apply to damp hair and style as desired. 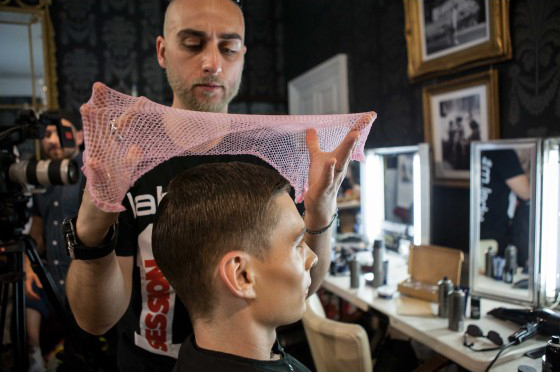 Use a comb to create a side part or slick it straight back for a classic style. 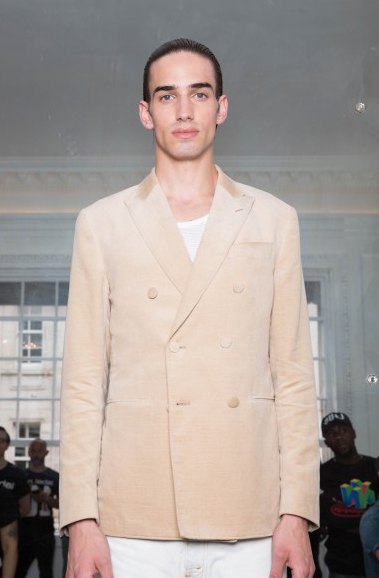 Stay tuned for more Fashion Week Inpsiration from label.men!